The Book of Other Rites and Ceremonies of the Church. The Living Temple of Christ's Church and the Two Witnesses of the Word Written and the Sacraments. Preached at the Consecration of Dr. Nicholson as Bishop of Milwaukee. Printed (1899) at the request of the Vestry of St. Mark's, Philadelphia. A Pillar in the Temple. A Sermon Preached in S. Mark's Church, Philadelphia, November 24, 1906. In memory of The Rt. Rev. Isaac Lea Nicholson, D.D. Former Rector of the Parish. By the Rev. 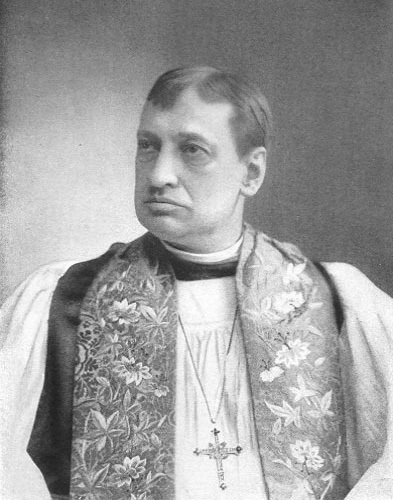 George McClellan Fiske, D.D., Rector of S. Stephen's, Providence, R.I., and Assistant Minister of St. Mark's, 1880-1883. [Milwaukee: Diocese of Milwaukee, 1947]. An historical address by the Revd Thomas J. M. Davis, delivered at the Easter Meeting of the Guild, Church of Saint Mary the Virgin, New York, 20 April 1963.